Download Smash Frenzy 2 - Smash Frenzy is a brick bashing assault on the senses! Three-dimensional levels immerse you in the action as a giant T-Rex rampages through a teeming metropolis and a fire crew hoses down a towering inferno. 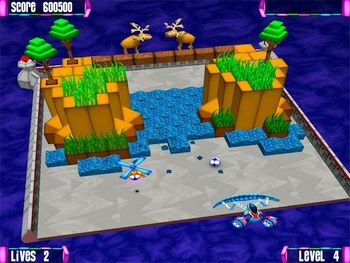 As you obliterate these scenes with your ball and paddle, powerups rain down from above, allowing you to launch missiles and put multiple balls into play! 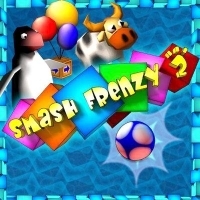 Best of all, Smash Frenzy 2 is as easy to play as the classic Breakout, making it a favorite of casual gamers worldwide!